If travelling to America in 2015, ESTA (Electronic System for Travel Authorisation) is a form that you are required to complete prior to travelling, if you are a citizen of a country that has signed up to the Visa Waiver Programme (as Ireland has). Questions on the form are straightforward; it can be submitted electronically right up to the time of boarding (though the Department of Homeland Security recommends you submit 72 hours before flying); and a response is usually received within seconds. The Application fee is $14. https://esta.cbp.dhs.gov is the only website that should be used to submit an ESTA application. We recommend that consumers avoid all other websites promising to handle your application. Such sites will have the appearance of an official government website, with names such as ESTA Application for Citizens of Ireland. These third parties sites usually promise to fast-track your application, which is unnecessary, whilst charging enormous fees. The effective charges for families will now stand at €160 a year. Single adult households will pay an effective €60 rate. Both figures are lower than expected and are inclusive of the annual €100 rebate payable upon registration with Irish Water. 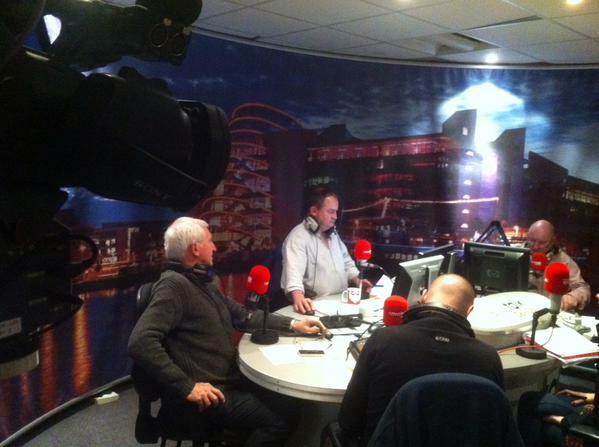 The changes mean Ireland will have one of the cheapest water charges regimes in Europe. Figures compiled by Global Water Intelligence indicate the new water charges regime would place Ireland at the bottom of the EU’s water charges table. It calculates Europe-wide charges based on a family of four using an average of 15 cubic metres of water a month. When allowances and the water caps are included in Ireland, the charges are likely to work out at under €1 per cubic metre. This is well below EU countries with relatively high water charges, such as the UK (€3.92), Germany (€4.80) and France (€3.66). But it is also lower than rates in the cheapest countries, such as Romania (€1.75), Latvia (€1.71), Italy (€1.52). Bulgaria has the lowest rate at €0.99. Former taoiseach John Bruton’s belief that Britain would have ceded independence to Ireland without an armed struggle has been described as “delusional” by Fianna Fáil agriculture spokesman Éamon Ó Cuív. 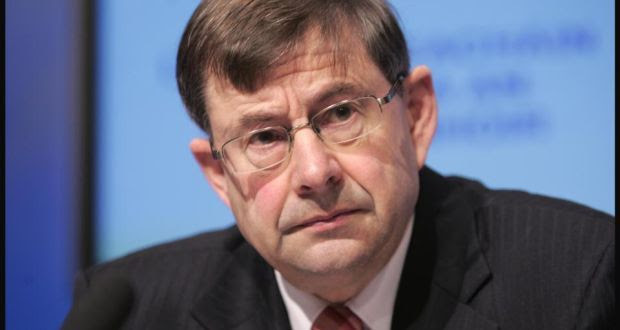 Mr Ó Cuív, grandson of Éamon de Valera, said there was no evidence to suggest that Britain would have allowed the Irish Free State to have its own army or foreign policy had it not been for the Easter Rising and War of Independence. In a submission to the Government requesting that the 100th anniversary of the passing of the Home Rule Bill on September 18th, 1914, be marked as part of the decade of commemoration, Mr Bruton suggested that both the Easter Rising and War of Independence had been “unnecessary”. He contended that Home Rule was on the statute books and would have been implemented at the end of the war in any case. He also maintained that the violence of that period “should not be retrospectively justified in the other commemorations that are to be undertaken over the next 10 years”. However, Mr Ó Cuív, a former Fianna Fáil minister, said the Home Rule on offer in 1914 was less than what Wales has at the moment and the British would not have conceded independence to Ireland without a fight. Mr Bruton said Home Rule would have allowed Ireland to pursue a path towards independence and the country would probably have got what it got in 1921 by the end of the 1920s without the bloodshed and division that followed. He also said the decision by Sinn Féin to abstain from Westminster and to start a guerilla war in 1919 against the British copper fastened partition and led to the setting up of the Stormont Parliament in 1920. However, Mr Ó Cuív countered by suggesting that the Easter Rising saved thousands of Irish lives as it gave the Irish public the courage to resist conscription and recruitment to the British Army tailed off dramatically after the Rising. Dominion status for Ireland would have meant involvement in the second World War, he said, and thousands more Irish lives would have been lost. 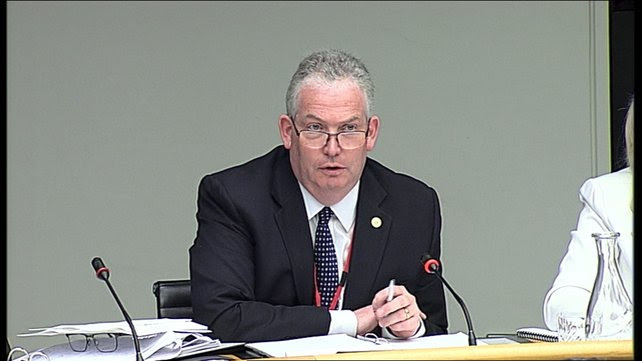 Fianna Fáil Senator Mark Daly said Easter Rising descendents are “upset and angered” by Mr Bruton’s comments. Mr Daly said it gave the impression that the lives they sacrificed for Ireland were in vain. He called on the Minister for Arts, Heritage and the Gaeltacht Heather Humphreys to clarify her views on the Rising. Ms Humphreys is the chair of the committee organising the various commemorations remembering the revolutionary period and the first World War. The party faithful are conditioned to accept what the leader says, and indeed don’t care if he was in the IRA or not. Following the remarkable success of Sinn Féin in the recent local and European contests, and in reasonable anticipation of further gains in the next general election, speculation is already rife on the party’s place in probable coalition groupings. Its untested economic policies (the main basis of its popular appeal) have been constantly criticised by its opponents. But there are other features of the organisation which prospective partners would do well to examine closely, not least its rhetoric and terminology. The term “republicanism”, never off the lips of Sinn Féin speakers, originally meant, from the 1920s to the 1950s, anti-crown and anti-commonwealth. “A mad republican” was then a common phrase. The usage gradually changed after the formal proclamation in 1949 of the Republic of Ireland as the description of the 26-county State. From the outbreak of the Troubles in the late 1960s, “republican” came to mean a supporter of a united Ireland in general sympathy with the IRA. But for most republicans the armed struggle dimension is no longer a factor since the Belfast Agreement. Over the years when someone such as Martin McGuinness referred to “republicans and nationalists”, he was presumed to mean Sinn Féin and SDLP followers, respectively. As used today, the phrase suggests “republican” is superior to “nationalist” and, by extension, to common Joe Soaps in parties in the Republic. A feature of Sinn Féin rhetoric is its pervasive air of self-righteousness and sanctimoniousness. But nowadays the distinction between “republican” and “nationalist” is spurious. Not only that, but we are all “republicans” now and the distinctive and exclusive use of the term by any political party (including Fianna Fáil!) is meaningless if not hypocritical. Every citizen in the South lives in a republic, we subscribe to a non-monarchial form of government, we are in favour of territorial unity by peaceful means (just like Sinn Féin) and we profess the principles of social equality and civil rights. In short, we satisfy all the criteria of being “republican”. 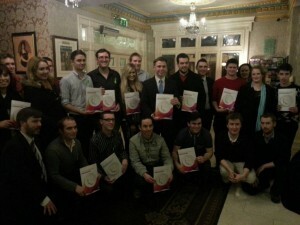 So how can Sinn Féin constantly claim to be more republican than the rest of us? Go ahead, ask them. Another peculiarity of Sinn Féin modes of speech is the refusal to accept the legal forms and common usage of “Northern Ireland” and “the Republic of Ireland” as the correct descriptions of the two political entities that comprise the island. Sinn Féiners refer to “the North”, “the North of Ireland”, “up here” and “the Six Counties” but never to “Northern Ireland”. Similarly they use “the South”, “the 26 counties”, “down here” or, if they are really being naughty, “the Free State” but never “the Republic”. In a recent, hour- long interview with Marian Finucane on RTÉ radio, McGuinness employed the usual verbal evasions with remarkable agility in order to avoid giving its proper description to the state of which he has the honour to be Deputy First Minister. In the tortured theology of Sinn Féin nationalism, accepting and using “Northern Ireland” and “Republic of Ireland” would be to accept partition and, even worse, to compromise and betray “the true republic, as in 1916 established”. Irony of ironies, Sinn Féin played no part at all in Easter 1916! All this juvenile, fantasy-land stuff is an indication of arrested political development on the part of Sinn Féin. And it raises the large question which should be ceaselessly put to Sinn Féin’s leadership – if you can’t bring yourself to describe the State properly, do you really recognise it at all? Are you not still “a slightly constitutional party” as Seán Lemass styled Fianna Fáil in 1928? 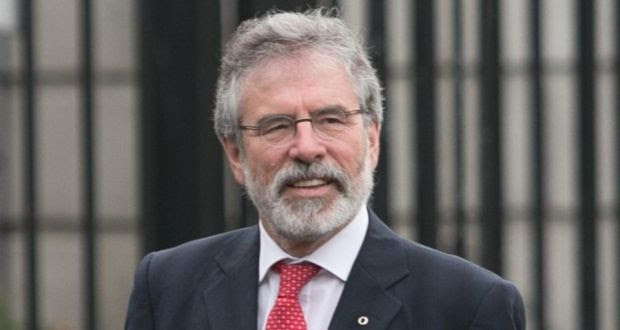 Commenting in late May on Sinn Féin’s sweeping gains, party president Gerry Adams claimed the electorate had endorsed the party’s policy on “an agreed, united Ireland”. But the Republic’s electorate has been historically indifferent to northern issues, and support for Sinn Féin is to be explained in terms of the prevailing anti-austerity mood, the party’s impressive Dáil performances and superior political organisation. Adams has also spoken of popular support for “an historic and inclusive (buzz words!) accommodation between Orange and Green in a new republic”. But this is no more than aspirational waffle – a sentimental fantasy since the heyday of Thomas Davis’s rhetoric in the 1840s. Orange has shown no interest in any “accommodation” with Green, whether in a Home Rule arrangement or in a republic, old or new. If such an agreement had been possible, partition would long since have ceased, and indeed would never have been necessary in the first place. For all the sophisticated thinking about new structures that lay behind the Belfast Agreement, Sinn Féin remains an old- fashioned anti-partition party at heart, echoing the futile rhetoric of the Anti- Partition League of the 1940s. This view minimises the age-old antagonism between Orange and Green, and emphasises Britain’s central role (eg the 1916 Proclamation – “differences carefully fostered by an alien government”). In this view, Britain created partition and Britain could undo it. According to Sinn Féin, partition institutionalised sectarianism and the ills that flowed from it. But sectarianism flourished long before partition and it was the indifference and neglect of London governments rather than partition itself that lay behind Northern Ireland’s chronic problems. Perhaps nationalists in general, and not just Sinn Féin, should radically re-examine the assumption that partition was, and remains, an evil in itself, and rather face up to the unpalatable historical truth that some form of partition, rough and ready though it turned out to be, was necessary to deal with the two conflicting nations in Ireland. In the insightful phrase of the late distinguished scholar and commentator Liam de Paor (no West Brit he! ), partition was a condition of, rather than a flaw in, Irish independence. Besides, since the political reforms of the 1970s, and more so since the Belfast Agreement, nationalist criticisms of the evils of partition have been outdated. Of course, from a nationalist viewpoint, it would be “grand” to have a united Ireland as well as (presumably) economically advantageous. But, realistically, it’s farther away than ever, not least because of the polarising Troubles, and most northern nationalists are happy enough with the constitutional status quo. At this stage in Northern Ireland, surely what is needed most is a long period of peaceful community relations and the slow building of reconciliation. Incredibly, what Sinn Féin is promoting is a referendum on Irish unity, a pointless, regressive and destabilising exercise. Adams said last month, on Morning Ireland on RTÉ radio, that “a strategic plan for Irish unity” will be a red-line condition for any participation in government. A red alert for prospective partners, more like, and the very negation of a peace process. Together with his frequently expressed admiration for Bobby Sands and for the role of the IRA volunteer in general, this unambiguous statement tells us all we want to know about Adams’s true allegiances. Despite his belated expressions of support for the security forces of the State, he remains true to his “Óglaigh na hÉireann”, the Provisional IRA. If this doesn’t give other party leaders pause, it certainly should. Sinn Féin presents itself as the chief custodian and proper interpreter, if not the only begetter, of the peace process. The armed struggle is rarely mentioned nowadays or the fact that the IRA negotiated for peace only when its war campaign ran into the ground. Instead, Sinn Féin is pushing the origins of the peace process ever backwards in time so that when you thought they were supporting “the armed struggle” they were really working for peace. In programme presented by Ursula Halligan on TV3 last year, McGuinness looked into the camera with evangelical earnestness and declared he “would die for the peace process, for peace”. But what happens if the ultimate terms of the peace process are not to Sinn Féin’s liking? The party’s breathtaking revisionism extends to the causes that it now gives for the conflict. IRA culpability, the sectarian dimension and the statistics of responsibility for deaths are ignored and “the armed struggle” becomes a great campaign for equality and civil rights – which, in fact, were conceded quite early on. And let us not forget that what is now paraded as “peace-making” was actually the strategy of maximising Sinn Féin’s strength while using IRA decommissioning as a bargaining tool. IRA atrocities are, they say, a matter for regret but they are presented as an inevitable part of conflict and seem to happen almost as impersonal forces. Euphemisms abound. In his long interview with Marian Finucane in May, McGuinness spoke of the “loss” of Lord Mountbatten (she did not demur at this) as if it had been a regrettable oversight. Another frequent Sinn Féin line is the attribution of blame for obstacles and setbacks to British “securocrats” behind the scenes. Who are these faceless, sinister forces? Why are their machinations allowed to threaten peace? Why do they want to destroy the peace process? No answers are sought or given for these questions. Sinn Féin may or may not believe its own propaganda. But it behoves opponents to subject it to close scrutiny. If prospective coalition partners ignore it, they do so at their peril – indeed at our peril. John A. Murphy is Emeritus Professor of Irish History at University College Cork and a former Independent member of Seanad Éireann. Justice Barry White is a just man. The details of the case speak for themselves as does the wisdom and sensitivity of the sentence. A Co Cork woman who killed her eight-year-old son while depressed and suicidal has been given a seven-year suspended sentence. Mr Justice Barry White ordered that Diane Ward be released from the Central Mental Hospital in Dundrum to a mental health facility in Cork where she will reside as a voluntary patient as part of the conditions of her suspended sentence. 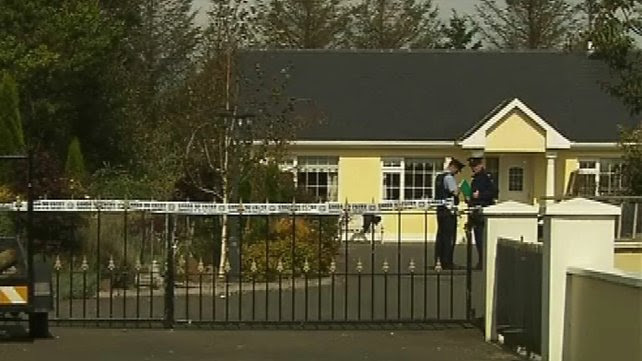 Ward of Harrison Place, Charleville, Co Cork, had pleaded guilty to the manslaughter of her eight-year-old son Anthony at their home on 3 September 2012. The sentence had been adjourned from April last after Judge White said it would be highly inappropriate to release the woman into the community without a proper plan for psychiatric treatment and support. This morning the court was told there was a place for her at a mental health facility in Cork where she could reside as a voluntary patient for a time before suitable accommodation can be found. Judge White said it was “a particularly tragic case” and said Ward was “quite clearly troubled mentally” at the time she took her son’s life. As a condition of the suspended sentence he said she must reside at the unit until doctors there consider it appropriate that she return to the community. Thereafter she must remain in contact with probation and welfare service and accept any regime considered appropriate. At her sentence hearing in April the court heard the 44-year-old had a long history of a depressive disorder and had been hospitalised in the past when she tried to take her own life. She had responded well to treatment but had relapsed a number of times. She was described by the boy’s father as “a good person who made a mistake”. The court heard she tried to take her own life in the early hours of the morning and decided to smother her son as she feared there would be no one to look after him. She had previously asked a family member to take her son to relieve the pressure on her but it was not possible for them to do so. She had left a note requesting they be buried together. A psychiatrist told the court her son was “the centre of her world, she had invested everything in him and for him”. The court heard she had a difficult relationship with her family as they disagreed about the medical treatment of her son, who had ADHD and was on a prescribed medication. Her mother had been appointed a guardian of her son. A statement from the boy’s father, Mark Ryan, said he was getting on with his life though his loss had been traumatic. He said: “I’m living with a memory of Anthony and all the good times, I miss him dearly, I will never forget him. “Myself and Diane were friends for ten years and never had any big trauma in our relationship. A psychiatric report prepared for the prosecution said while she did not meet the criteria for insanity required under legislation, her mental capacity to reason the situation and choices open to her were substantially diminished and it followed that any intention formed in deciding to kill herself and her son were the products of a diminished mental capacity. A psychiatrist from the Central Mental Hospital, where she has been since the incident, said she was still at risk of suicide and still had very serious issues to address. Dr Helen O’Neill said she had still not been able to begin the grieving process for her son. She said she would require intensive grief therapy work in the Central Mental Hospital along with other intensive therapies before she could be released into the community. Dr O’Neill said Ward had not yet visited her son’s grave. Mr Justice White said he was clearly minded to impose a non-custodial sentence or suspended sentence but it would not be in her interest to let her leave custody immediately and return to the community. He said it would be highly inappropriate for her to be released into the community without support. The case was then adjourned until today. Vincent Browne emerges with credit from the Gerry Conlon story. So do Tom McGurk, the late Mary Holland, David McKittrick and John Mulcahy. There may be other Irish journalists who should be mentioned, but names don’t spring to mind. In the years following the 1975 conviction of the Guildford Four, Browne and these others persistently drew attention to the inadequacy, to put it mildly, of the evidence against them. But the generality of the Irish media, including some journals and journalists who in the past week have been lamenting the injustice visited upon Gerry Conlon, Paul Hill, Carole Richardson and Patrick Armstrong, chose to sit this one out. It cannot be pleaded that it is easy now to identify the gaps, flaws and dishonesties in the prosecution case, but that this wasn’t obvious then. In fact, it was obvious back then that, at the very least, the convictions were unsafe. 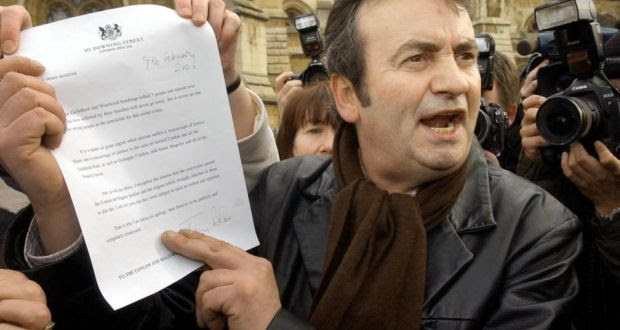 Ed Moloney, formerly Northern editor of The Irish Times, wrote on Tuesday: “If the story had been left to the Irish media to cover, Gerry Conlon would have died in a prison cell.” There is an element of speculation in this, but it is grounded in fact. The notion that the convictions should be considered in light of revulsion against the IRA bombing campaign, deep- rooted anti-Irish prejudice and pressure on the police to find the culprits doesn’t stand scrutiny. It was plain at the end of the trial or shortly after that the four, like the Birmingham Six and Judith Theresa Ward (who spent 18 years in jail for the bombing of Euston station in 1973) had been framed. Threats and brutality had been used to extract confessions, perjured evidence offered, evidence casting doubt on the defendants’ guilt suppressed. This is the key to the scandal that no invocation of the atmosphere of the time should be allowed to obscure. The prosecution, led by attorney general Sir Michael Havers, poured scorn on the defendants’ claims that they had been terrified into making the confessions on which his case rested. British police didn’t behave like that. Summing up, he suggested details in the confessions that matched other evidence were obviously true, while the many details contradicted by other evidence had been intended to throw the police off the track. Havers personally distributed gruesome pictures of the mangled bodies of the bomb victims to reporters. Lisa Astin was an English teenager and friend of 17-year- old Richardson, with whom she had shared a squat. She went to the police after her friend was charged and told them Richardson couldn’t have planted the Guildford bomb: she and a friend, Frank Johnson, had been in Richardson’s company at a concert on the evening of the bombing. Johnson corroborated her story in detail. The timings they recalled would have made it impossible for Richardson to have been in the Guildford pub when the bomb was planted. Both were arrested and threatened. Johnson changed his story, then repudiated the changes. Astin, under ferocious questioning, stood firm by her account throughout. She emerges as a heroine for truth. Her and Johnson’s evidence was brusquely, scornfully discounted by trial judge Mr Justice Donaldson. These are but a few of the anomalies and contradictions that glare out from the public record. A savage resolve to punish the four came through in the sentencing. Had capital punishment been available, the judge told the four, he would have had them all executed. Richardson received 20 years minimum, Conlon not less than 30 years, Armstrong at least 35 years. He cautioned Armstrong not to hope that “you will necessarily ever be released”. After the release of the four in 1989, Paul Reynolds, BBC world affairs correspondent, who had sat through the case, wrote ruefully: “The reporters who covered the trial have often wondered if they could have done more to point out the weaknesses of the case … We did try once . . .Three of us went to see Lisa Astin to get more details but … we were warned off [by the defence]. “Yet, had we been encouraged along this path, the real truth might have come out earlier.” At least they tried. Not everyone can say that. 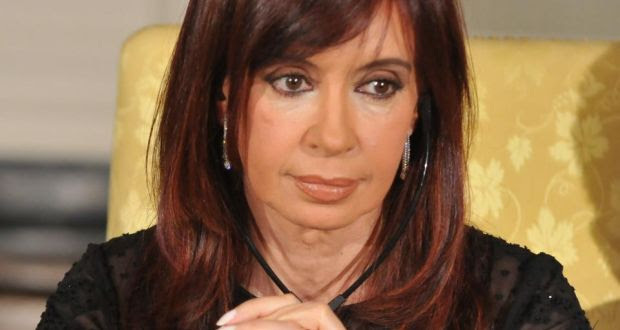 Cristina Fernández de Kirchner, the Argentinian president, raised the prospect of a new sovereign default in a national address yesterday. She said her government would never succumb to “extortion”, after the US Supreme Court rejected her country’s petition to reverse a legal ruling by a lower US court that forced Buenos Aires to pay holdout creditors. Does the court’s decision mark the end of the so called “debt case of the century”? Almost. It means that a 2012 ruling by New York District Judge Thomas Griesa remains intact. This verdict said that if Argentina continues payments to creditors who participated in two debt restructurings in 2005 and 2010, then it must also pay the full value of the bonds held by creditors who refused to take part in the deals. These are the so-called holdout creditors, led by NML Capital, a subsidiary of Elliott Capital Management, a hedge fund controlled by US billionaire Paul Singer. Why doesn’t Argentina pay everyone and move on? Of Argentina’s original $95 billion default, about 93 per cent of creditors participated in the restructurings. Buenos Aires says that leaves roughly $15 billion of bonds, including unpaid interest, in default. At stake in this case is a smaller sum: about $1.5 billion of debt held by NML and its partners. Argentina can meet that payment, but, with only $28 billion of foreign reserves, it cannot afford to pay the $15 billion owed to all holdout creditors at the same time. What options does Argentina have now? Four, broadly. It could refuse to pay NML, but that would also trigger an automatic default on the exchange bondholders who participated in the restructurings. This would set back Argentinian moves to regain access to international capital markets, such as its recent settlement with Paris Club creditors. That is a high price to pay as Argentina needs fresh loans to develop its shale gas reserves. Indeed, yesterday Ms Fernández swore Argentina would continue to service restructured debt. Second, it could continue to refuse to pay the holdouts, while maintaining payments to exchange bondholders. However, that would require rerouting payments outside New York, where the exchange bonds are settled. Logistically that is near-impossible, especially as the next payment, some $400 million, is due on June 30th. Third, it could comply with Judge Griesa’s ruling, and pay NML and its partners $1.3 billion now. However, that would open up Argentina to being sued by the exchange bondholders. That is because, until the end of this year, under a legal clause, they are entitled to claim any better terms voluntarily offered by Argentina to other bondholders. That leaves a fourth option: reach an agreement with NML to settle its debts, probably by issuing fresh paper, but not until 2015 when the need for Argentina to offer similar terms to exchange bondholders expires. This seems the most likely option. What are the international implications of the case? So far, none. There has been no market fallout. However, some, including the IMF, worry that the case will make future debt workouts harder as it removes the incentives for creditors to participate. Against that, most international bonds now have collective action clauses, which make a repeat impossible as it requires bondholders to accept majority decisions.